"If you need to create a lot of material in a hurry, the easy-to-use Elastik player and the interchangeable nature of the loops make Minimal Techno a useful tool (...). 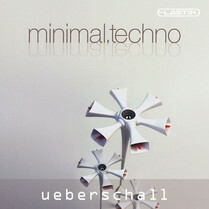 Rating: 7/10"
Another outing for Ueberschall’s Elastik engine, this library features 75 construction kits covering the minimal end of the techno spectrum. The loops are of a decent standard and sound fairly convincing, but we’ve seen some truly superb minimal libraries recently and this one doesn’t really add anything to an already crowded market. If you need to create a lot of material in a hurry, the easy-to-use Elastik player and the interchangeable nature of the loops make Minimal Techno a useful tool but perfectionists should look elsewhere.